AMI-GLAS® (AGL) is a 100% fiberglass fabric with an aluminized lamination which makes it ideal for spray shield applications. Unlike a metalized film, AMI’s lamination is done with a .001” aluminum foil for overall temperature resistance. 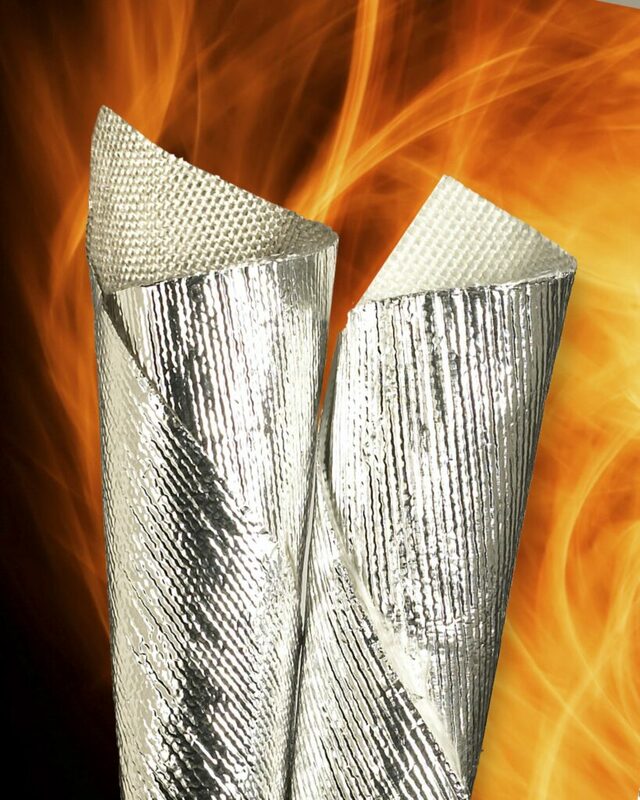 The foil is designed to stay intact even after exposure to direct heat. A ravel-resistant coating can be applied to one side to further enhance die-cutting operations. AMI-GLAS® (AGL) is rated to 300°F. 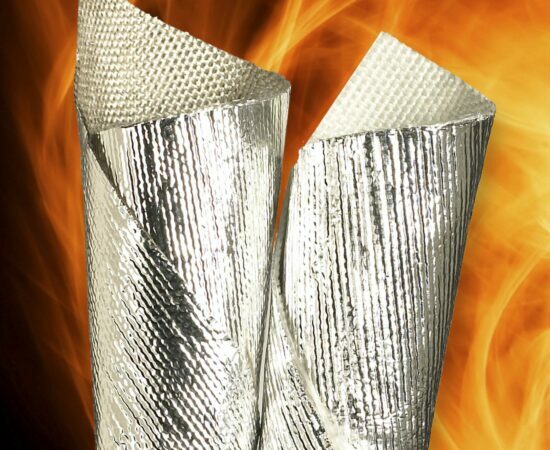 The temperature limitation reflects the limitation of the adhesive used for aluminization.